meals included and entertainment aboard the cruise ship will cost travelers about $100 to $150 per night/per person for the modest interior cabins. Bahamas cruises dock at Nassau and/or Freeport for up to 24 hours. Guests can go ashore to explore on their own or they can select from one of the many shore tours offered by the cruise lines for an additional cost. Shore excursions cost $20 to $125 Royal Caribbean's Sovereign of the Seas (scuba diving and golf can be the most expensive excursions). Shore tours in Freeport and Nassau include golf, shopping, snorkeling, scuba diving, city tours, dolphin encounters, glass bottom boats and more. Arrangements for shore tours can be made aboard the cruise ship. The Majesty of the Seas, a Royal Caribbean Cruise Line ship, offers 3 and 4-night cruises to the Bahamas from Miami every week. The Majesty's 3-Night Bahamas cruise departs every Friday and includes stops at Nassau and CocoCay. The Majesty's 4-Night Bahamas cruise departs every Monday and includes stops at Nassau, CocoCay and Key West. 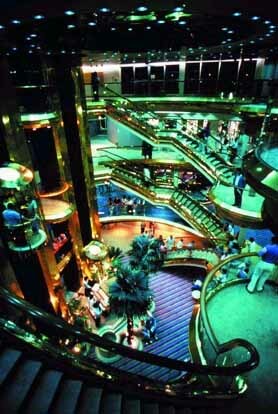 Cruise Line ship, also offers 3-Day cruises to the Bahamas from Miami every week throughout the year. 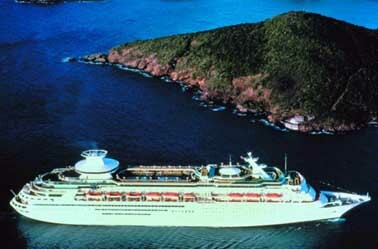 Fascination's 3-Day Bahamas cruise departs Sovereign of the Seas every Friday for Nassau and returns Monday mornings. The Norwegian Sea, a Norwegian Cruise Line ship, cruises to the Bahamas from Miami from November through April. The Norwegian Sea's 3-Night Bahamas Cruise stops in Nassau and Great Stirrup Cay. The Fantasy, a Carnival Cruise Line ship, offers 3-Day and 4-Day Bahamas cruises from Cape Canaveral. The Fantasy's 3-Day Bahamas cruise departs every Thursday, stops in Nassau and returns to Cape Canaveral Sunday morning. The Fantasy's 4-Day Bahamas cruise departs every Sunday, stops in both Nassau and Freeport and returns Thursday morning. The Sovereign of the Seas, a Royal Caribbean ship, offers 3 and 4-night cruises to the Bahamas from Cape Canaveral every week. Sovereign's Bahamas cruises include stops in Nassau and CocoCay. 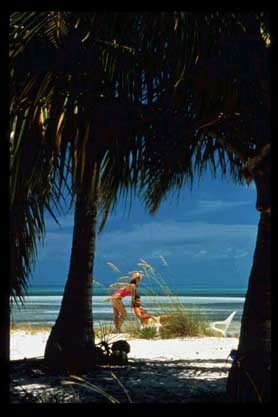 Sovereign's 3-Night Bahamas cruise departs Thursdays and 4-Night Bahamas cruises depart Sundays. Many cruise lines offer seasonal cruises to the Bahamas or include a stop in the Bahamas on their Eastern Caribbean Cruises. The Norwegian Sea, a Norwegian Cruise Lines ship, offers 7-Night Bahamas Cruises from New York from May through August. This 7-Night Bahamas cruise includes stops at Nassau and Great Stirrup Cay. Carnival's Triumph cruise ship offers a 5-Night Bahamas cruise from Charleston, South Carolina. The Triumph stops in both Nassau and Freeport.